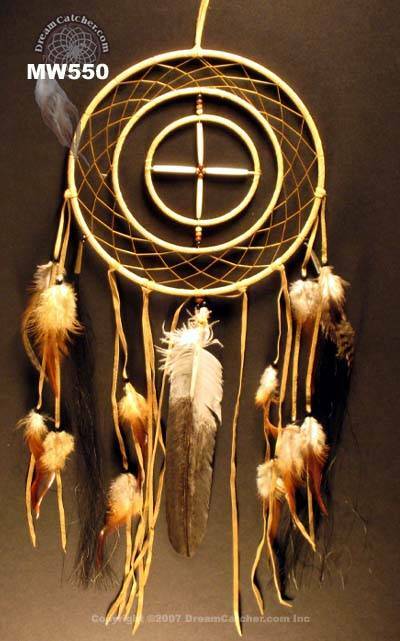 This medicine wheel within a Dreamcatcher is stunning. A large piece for a large space, this beautifully woven 9 inch Dreamcatcher has a medicine wheel at its center. 3 hoops wrapped in leather accented with wood and bone beads, impressive feathers, and horsehair come together in the Power of Dreams Medicine Wheel.